Cassandra Clare, Lily Collins, Jamie Campbell Bower, and Lena Headey will make an appearance at the 2013 London Film and Comic Con. This exclusive Mortal Instruments panel will take place on Saturday. The tickets are a first-come-first serve and they're free. According to Showmasters, there will be a special announcement! To celebrate the announcement of the release date and new trailer for MORTAL INSTRUMENTS, the 2013 London Film and Comic Con is proud to host none other than JAMIE CAMPBELL BOWER, CASSANDRA CLARE and of course, LENA HEADEY for an EXCLUSIVE MORTAL INSTRUMENTS PANEL taking place on Saturday. Tickets will be free and will be given out on a first come first served basis on Saturday morning. Cassandra Clare will also be signing books after the show on Saturday. 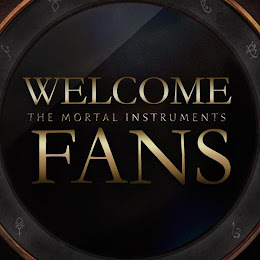 Cassandra Clare will be signing copies of her books after taking part in the MORTAL INSTRUMENTS exclusive panel film launch on Saturday only. The tickets to the panel is free, however, you must buy a ticket to get into the convention. Buy your ticket to the event here. Click here to watch it on itunes. *be sure to follow us on tumblr; we'll be reblogging edits like crazy! Lena Headey and Cassandra Clare's hands! !